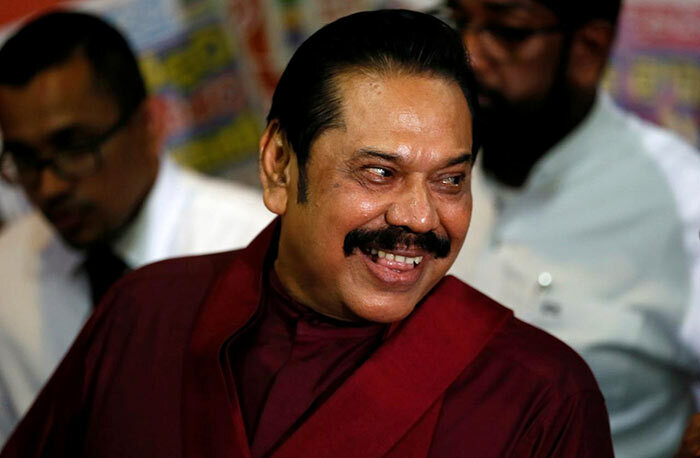 Former President Mahinda Rajapaksa has informed United People’s Freedom Alliance (UPFA) parliamentarians that he has resigned from the post of Prime Minister. MP Shehan Semasinghe stated this short while ago. Well he had to. Now Ranil will be the PM and heard that he is re appointing Ravi Karunanayaka as Finance Minister and Rajith will get the Minister of Health portfolio again. ‘Old Wine In same Old bottles’ I would say. The opposition TNA will continue to support RW government and HE Sirisena’s puppet show will continue. As we Sinhala people say ‘Ikbithi Siyalloma Sathutin Jeewath Wuha’ or ‘At the end everyone lived happily’. Thank god! Now we can give a foothold in SR to our erstwhile friend India who had been with us thick and thin! The R Family made a terrible, irrational decision to dance to the tune of the King and its biting them, badly. Their haste in joining Pohottuwa is even more disastrous if SLFP sticks to rules and sack them. There is a likelihood of the Family and its followers losing their seats in Parliament. Things not looking good. There’s likelihood losing representation in Parliament, loosing presidential elections in 2019 and losing parliamentary elections in 2020.